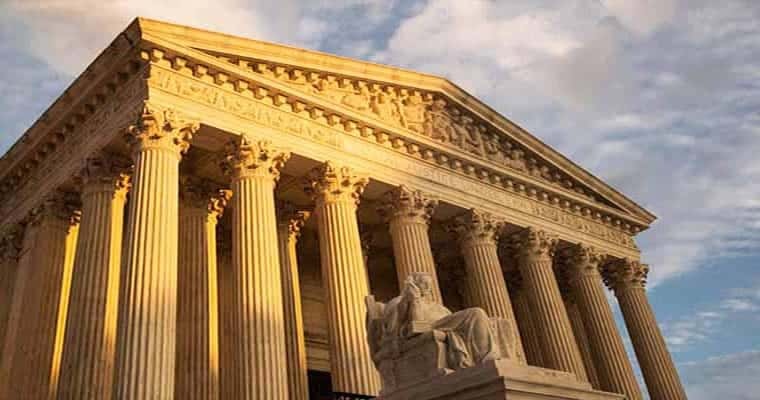 The Supreme Court set up the United States for sports betting overhaul with their decision in the Murphy v. NCAA case. After the drawn-out case involving New Jersey and the major sports leagues, SCOTUS deemed the Professional and Amateur Sports Protection Act unconstitutional on the grounds that it was commandeering states. This decision didn’t legalize sports betting on a national scale, but it grants states the opportunity to pass sports gambling on their own. Questions have arisen regarding the status of the Federal Wire Act, another law on the books stifling the growth of domestic online sports betting. SCOTUS is of the impression that the Federal Wire Act should only come into play when state laws are violated. The Federal Wire Act was passed in 1961 as a means to thwart the mob from operating an illegal betting racket facilitated through wire transmission facilities. As technology developed, lawmakers attempted to surmise that the law applied to all forms of Internet gambling. That line of thinking was called into question and led to the Department of Justice ruling the law only applies to US-based online sports betting back in 2011. With the demand for domestic sports betting options on the rise, it was only a matter of time before PASPA was put on the chopping block. The law thwarted any sort of growth with sports gambling for over 25 years. With it officially out of the way, states have begun passing legislation establishing the framework for their legal betting operations. For the most part, the legislation we’ve seen focuses on brick-and-mortar establishments, but some states have included provisions for online and mobile wagering. The question is—wouldn’t this violate the Federal Wire Act? SCOTUS published a written brief detailing their findings in the wake of the Murphy decision. They mentioned the Federal Wire Act on one page of that brief, but it was enough to draw speculation on how the Federal Wire Act will come into play in the future. SCOTUS wrote that federal laws should take individual state policies into consideration regarding gambling practices. Furthermore, the Supreme Court believes there needs to be a precondition of state law being violated before the Federal Wire Act can step in. By this logic, if states include provisions in their laws that interstate online sports betting is legal, the Federal Wire Act would not be able to intervene. Another logic to consider is that law is interpreted by plain means, meaning that the law is often interpreted as it is written. If you look at the Federal Wire Act, there is no mention of the precondition that state law must be violated first. Instead, it blatantly outlaws any sort of interstate betting as long as it is conducted through wire transmissions, i.e. the Internet. We face an interesting predicament given this scenario. States recently won a hard-fought battle against the federal government. As a result, PASPA was repealed and states can now choose their own destiny with sports betting. It seems futile for the federal government to try and commandeer individual states again. Another possibility is that some federal lawmaker can take issue with states pushing for interstate online betting based on the technicality that it violates the Federal Wire Act, regardless of whether or not that state has pro-sports betting laws in place. If the Federal Wire Act were amended or repealed this would be a non-issue. Perhaps states are including provisions for online betting in hopes of a similar situation happening with the Federal Wire Act that occurred with PASPA. It would be a smart preemptive move, but there are no guarantees that the Wire Act will be repealed. With more and more states passing legislation on sports gambling, the interstate network will continue to grow. Eventually, something will have to give way to make room for the other. Our money is on the Wire Act giving way to the progress of sports betting in America.